If you’re involved in an accident that was caused by somebody else, you may be considering claiming compensation. 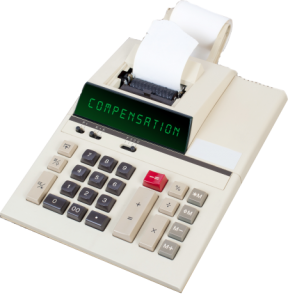 One of the first things many people question is ‘How much compensation will I receive?’. For a personal injury solicitor, this is quite a straightforward thing to work out, but for everyone else it can be quite tricky, and a lot of people begin to search for a personal injury claims calculator. This guide will explain how personal injury claims are calculated, what you should do in the event of an accident, how no win no fee claims work and what you can actually claim compensation for. If you’d like Advice.co.uk to take your case on today, then please call one of our team on 0161 696 9685. If you’re not quite ready yet then please carry on reading this guide, which should provide all of the information you’ll need. When Calculating Compensation What Is Taken Into Account? Am I Eligible To Make A Personal Injury Claim? What Evidence And Information Do I Need To Make A Personal Injury Claim? How Are Criminal Personal Injury Claims Calculated? What Is A Success Fee And When Do I Pay It? Why Choose Our Friendly Team? There are many different examples of personal injuries that can lead to compensation claims such as accidents at work, slips and falls, road traffic accidents, medical negligence and many, many more. The one thing that makes it possible to claim compensation for any of these injury types is that the accident was caused by somebody else. If you cause an accident yourself then you probably wouldn’t be able to claim, however it is always worth getting free legal advice just to be sure. Advice.co.uk offers free expert legal advice to anybody who is considering making a compensation claim and, once you’ve spoken to one of our team about your accident, we can offer an initial calculation of how much compensation you may be entitled to. In actual fact, there is no such thing as a personal injury claims calculator because every accident is unique. Every claim is made up of any number of different parts (see the next section for full details) depending on how the accident occurred and how it impacted the claimant. As you can see from the table, there is a range of compensation for each different type of injury, beginning with minor injuries and through to severe injuries. Your personal injury solicitor will need to prove, by providing medical evidence, where your injuries fit in the range so that you get the correct level of compensation. When your personal injury solicitor makes a compensation claim on your behalf they can claim for different ‘Heads of Loss’ which are made up of a number of elements. The two main head of loss are special damages and general damages. As you can imagine, some of these are difficult items to prove and so Advice.co.uk only use solicitors that specialise in personal injury claims and have a proven track record in successfully claiming the right level of compensation. Your personal injury lawyer needs to understand exactly what impact your accident has had on you, including any out of pocket expenses, prior to submitting your claim so it’s important you provide them with as much information and supporting evidence as possible. That they breached that duty of care intentionally, by mistake or due to negligence. And that the breach caused you to be involved in an accident and subsequently injured. In most public places, and workplaces, you are generally automatically afforded a duty of care as the owner will need to ensure that the place is safe for all visitors and staff. It is also worth bearing in mind that all personal injury claims in the UK have strict time limits on them being made. With most injuries, the time limit is 3 years from the date the accident happened. With other injuries like industrial diseases and illnesses the time limit begins from the date you became aware of them, usually the date a doctor diagnoses the disease. If you’re unsure in any way about whether you can claim or not, please get in touch with one of our personal injury advisers. If you decide you’d like to make a compensation claim, then there are a number of things you can do prior to calculating the amount of compensation you’ll receive that will really improve the chances of the claim being successful. Seek medical treatment for your injuries at a doctor or hospital as this will ensure medical records are created which will prove your injury happened and will detail its severity. Obviously, your doctor will treat you for your symptoms at the same time. If you’re trying to calculate compensation against the NHS, it may not be appropriate for the doctor you’re trying to claim against to treat you so you should seek a second opinion. Photograph the scene of the accident any injuries to yourself as soon as possible following the accident. Try to capture the scene before anything is moved from it if possible, especially the thing that caused the accident in the first place. If the accident happened at work or in a public place, then report the accident so that it is entered into an accident report book. If possible, ask for a copy of what was written for your records but if that isn’t possible then take a note of the name of who you reported it to. If there were any witnesses to your accident, ask them to provide a written statement of what they saw and how the accident happened. Remember to collect their contact details as well. In the event of a road traffic accident, ensure that insurance details are swapped and that you report the accident. If any other vehicles, or your own, has dashcam recorders then ensure you get a copy. If you’re wondering ‘how much compensation do you get for medical negligence?’ or ‘What is the average pay out for a personal injury claim?’ then, as mentioned earlier, this can only really be gauged once we’ve spoken to you but we’ll be in a much better position to answer those questions if the steps above have been undertaken as soon after the accident as possible. There are some types of accidents and injuries which are more popular than others but Advice.co.uk can help with any type of UK accident claim so long as another person was responsible. Slip, Trips and Falls: These can happen just about anywhere in daily life from work, to the gym and even in a supermarket. So long as there is a reason that you tripped beyond your control like a wet floor with no warning signs, uneven flooring or damaged handrails then you could ask us to calculate how much compensation your injuries are worth. Industrial illness and disease claims: These are actually different to most claims as they could’ve been caused many years ago. These are workplace accidents caused by repetitive working conditions. The common industrial diseases that can lead to claims include: Acoustic shock; Vibration White Finger; Occupational Asthma; and Repetitive Strain Injury (RSI). Workplace Accidents: These very often lead to claims because all employers have to provide a safe working environment, train staff fully, maintain equipment and repair any damages quickly. If you’ve been injured at work, then call us to discuss whether you could claim. Road Traffic Accidents: There are numerous road traffic accidents in the UK every day and, if you’re not the person responsible for the accident, you could claim compensation if you were injured as a pedestrian, passenger or driver. Again, these are just the more common types of accidents that clients claim compensation for but if you’re involved in any other no-fault accident then we can help you to make a claim. Many websites offer a personal injury claims calculator and have done for many years but, often, they don’t provide the full picture when making their calculations or may use out of date information. They only provide you the upper and lower range of compensation for your injury (they don’t actually assess the exact severity of your injury). They don’t include any special damages such as loss of earnings, travel costs or the costs to replace any personal property damaged in your accident. They don’t take into account any deductions that you may have to pay such as a success fee when using a no win no fee agreement. They might be using old data. They don’t actually let you know if your claim is valid or not. Online calculators should only be used a very rough indication of what you may receive. It is far better to speak with one of our specially trained advisers and give them all of the details of your injuries. This will allow them to formulate a much more accurate estimate of what compensation you could actually receive. When calculating compensation amounts for multiple injuries you definitely won’t be able to use an online calculator. A specialist personal injury solicitor is a must. Multiple injury claims are made when more than one body part becomes injured following an accident. These types of claim are assessed cases by case as, in some cases, a minor injury may not get taken into account if a more severe injury masks the pain. On the other hand, if multiple injuries all cause major pain and cause a massive impact on the claimant then the compensation could be elevated greatly. If you’ve been involved in an accident and sustained multiple injuries then please give us a call to discuss your case specifically as it’s very difficult to calculate what compensation you may be entitled, even with all of the information provided by this guide. If you’re injured in a criminal act, such as an assault, there is a fund called the Criminal Injuries Compensation Authority (CICA) which will pay a specific amount of compensation for certain injuries. If the crime against you results in multiple injuries then a claim can still be made and CICA will pay 100% of the most severe injury, 30% for the next most serious and 15% for the third. This can be quite a difficult claim to make so please contact our team if you’ve been injured by any type of criminal act. The solicitors we provide are all specialists and understand how to claim under CICA guidelines. When you take out a no win no fee agreement with a solicitor you don’t have to pay them if they lose the case, but if they win you pay them a success fee. It used to be the case that if you won, the defendant would pay your solicitors success fee, so you received 100% of the compensation but this is no longer allowed. Success fees are limited to a maximum of 25% of your compensation but could be less and when your solicitor wins your case, they simply keep their success fee and send the rest of the compensation directly to you. Even though you can’t ask the defendant to pay for the success fee, compensation amounts under General Damages were increased in 2013 by 10% to reduce the impact of paying the success fee. To begin your own personal injury claim you’ll need to collate all of the evidence that you’ve gathered so far (medical records, witness statements, photographs etc) and then give Advice.co.uk a call. We offer a free, no obligation, consultation where one of our team will listen to the details of your accident: where it happened, how it happened, who was to blame etc and then assess the evidence you’ve provided as well. Once we’ve had a chance to understand your accident fully, how the injuries were caused and the impact they had on you, we will be a position to advise you if there is a good chance that you will win the case and be compensated. 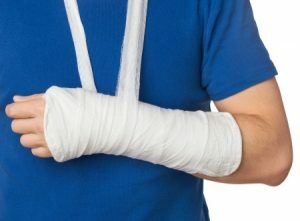 It’s at this point that we can offer some sort of calculation of how much compensation you may receive and then connect you with one of the panel of personal injury solicitors that we use who will begin your claim. There are different advantages to both of these types of personal injury solicitor. The first (who charges by the hour) will give you 100% percent of the compensation if they win your case, but, if they lose the case, you still have to pay their fees which can amount to a lot of money depending on the complexity of your claim. With a no win no fee solicitor, you don’t pay if they lose the case and, if they win, you pay them an agreed success fee from your compensation amount (see above). Advice.co.uk only work with no win no fee solicitors as we believe it makes claiming stress free as well as risk free and makes claiming compensation a lot easier for many of our clients. If, after reading this guide about personal injury claims calculators, you’re not sure whether to proceed then call Advice.co.uk for free legal advice. We’re happy to listen to your claim, assess its chances of success and offer advice as to what your next steps should be. Our team are all specially trained in personal claims litigation and would love to help you take your case forward. Advice.co.uk can help with personal injury claims for accidents that have happened anywhere in the UK and are happy to offer a compensation calculation for you once we’ve assessed your claim. We only work with solicitors who offer a no win no fee agreement to make claiming as easy as possible. Telephone: Call us on 0161 696 685 – one of our team will be available to answer any questions right away. Online: Fill in this online form and will contact you at a convenient time. Remember, before we begin your claim, we’ll provide you with a free consultation where you can explain exactly what happened in your accident, who you think was to blame and how the injuries have affected you. You can also ask us any questions that you may have, and we’ll provide free legal advice, even if you decide not to proceed with your claim. Medical Negligence Claims – A guide from Citizens Advice about making a claim for medical negligence against the NHS. Slips and Falls – A very useful guide, by the NHS, regarding slips and fall injury types, treatment and also prevention. The Health and Safety at Work Act 1974 – the specific piece of legislation that protects employees from accidents at work and can help when making a compensation claim.